It’s cloudy today, which makes your birthday without you here to celebrate even harder to bear. You would be 23 today, a grown man! I have so many moments that I imagine what you would look like now and what direction life would haven taken you. I always imagine great things because you always dreamed big without reservation. I miss you. It’s been almost 4 years since you died and though time has mellowed the grief, the sorrow in my heart has a pulse and an ache to it that truly makes me know that as your mother I will always long for you. Merrick just came into the office where I’m sitting by the window writing to you. I told him I was writing my annual birthday letter and he told me that he’d posted his happy birthday message to you on your Facebook page at 12:01am, wanting to be the first. I know you are proud of your brother and sisters. They are growing and each of them has some of your mannerisms that make me smile. When Merrick comes into the house he yells out, “Mom, where are ya?” sounding exactly like you used to. The first couple of times it happened I had to hold back tears because for the briefest of moments I thought you’d come home. Lindsay holds her mouth the same way you used to when given a compliment as she tries to hold back a smile. And Kendall’s quick wit has all of us laughing at the dinner table just as you did. I see you in all of them and know that as their big brother your arms of protection and love still guide them. This year we will do as we have since you died. 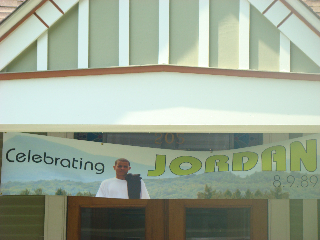 Your banner hangs in front of the house announcing to the world that today is your birthday and we celebrate you! And we’ll light your candle as a comforting reminder that your spirit lives within all of us. Thank you for being my son and teaching me so much. You are always in my heart. 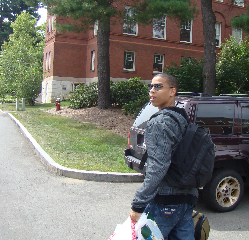 Jordan on his way to his dorm his sophomore year of college. And then my daughter trailed off not able to finish her thought and looking at me with pleading eyes hoping I’d rescue her from having to complete her words. Of course she was talking about the anniversary of Jordan’s death. We found out Jordan had died the night before in the wee hours of Columbus day. Every year since, that day has been the bellwether for friends and family clanging its reminder that if the anniversary isn’t that day, it’s coming. My family continues having the good fortune of compassionate, caring friends and family. We’ve received emails, cards, calls, invitations to meals, all to say, “We’re thinking of you all. We miss Jordan too.” The grace of others is a lifeline on what can be very dark days. Times of “what ifs,” and “if onlys” that serve no purpose beyond deepening the pain of loss. It will be 3 years tomorrow since Jordan’s death. My apprehension about the approach of the day fluctuates but isn’t as visceral as it was that first year when I wondered if I would remember to breathe as images of cars careening off of overpasses and my son being pulled lifeless from a car swirled in my head. Those images don’t appear as frequently. But the ache of loss is still as palpable. The days leading up to the 12th are fraught with thoughts of what used to be. Three years ago today my son was still living life fully and so was I. Thinkinking back on that time, I wish I could have the clarity to fully remember each moment of those early days of October when Jordan exuded energy and life. I miss him so much. I yearn to hear his voice, see what he would look like, just see him moving and being. Three years later life is different. With each passing year there is a sadness that I’m being pulled further away from the time of Jordan’s life. I’ll always hate marking time by the death of my son, it is a cruelty that needs a name other than anniversary. Yet, I don’t dread the anniversary of Jordan’s death the way I did the first two years. I know the day will come and I will mourn and weep for what could have been and the reality that my son is dead will push forth through my soul in ways that are painful to imagine. But I also know that after October 12th, the next day will follow and I’ll be on the path to continuing my journey of living and finding joy in my work, my family and connections with the spirit of my beautiful firstborn son. I realized this morning that my last post was on Jordan’s birthday. What a time it’s been. Writing hasn’t come easy as my tactic of, “One day at a time,” started to fall apart the closer I got to Merrick going away to school. I’m not sure if my anxiety would have lessened if he had chosen a school somewhere other than the same town his brother attended school. All I know is that as the weeks started to slip away and the day of departure was upon us I was a wreck. I didn’t want him to go. But I knew he couldn’t stay and I knew I would never stand in the way of his goals and dreams. There were a lot of late night tears shared with Mark as we both grappled with how to send a second child away to school when the first one didn’t come home. The doubts and fears swirled through our home. My daughter came into my room to say goodnight and she brought her fears to light. And then the tears flow, from both of our eyes. I stand holding her so tightly wanting to banish her fears but at the same time knowing that words like, “Don’t worry,” ring hollow because this isn’t the first brother or for me the first son that has gone off to college. Jordan didn’t come home. Accidents happen and this time they happened to our family. The next morning when I come downstairs Lindsay is making her breakfast. Tears pool in her eyes as she shakes her head yes. That question hung in the air and all I could muster was a shrug. When words came to me I reminded her that Merrick would be home for his Fall break and that we would visit him for Family weekend. My words were for me as much as her. My husband Mark is the guest blogger for today. So, instead of Always Mom of 4, you’ll be hearing from Always Dad of 4. I’m grateful that he agreed to give the perspective of a grieving father which is not frequently heard. Jackie asked me to host blog today, looking to inject a different perspective into the journal of our journey since the loss of Jordan. I am honored and a bit intimidated in opening up in a forum like this, but I told her I’d give it a shot. Last night, as I reached up to rub part of my back that is aching but in one of those hard to reach areas, I wrenched my face in obvious discomfort. Not knowing that I was being watched, I heard a careful whisper from the corner of the room, “Oh no, Dad, is there something wrong with you too?” The, “too,” part of her question came because Merrick was already sick and her mom had been resting a lot lately dealing with a flare from lupus. I still feel that hand on my arm. 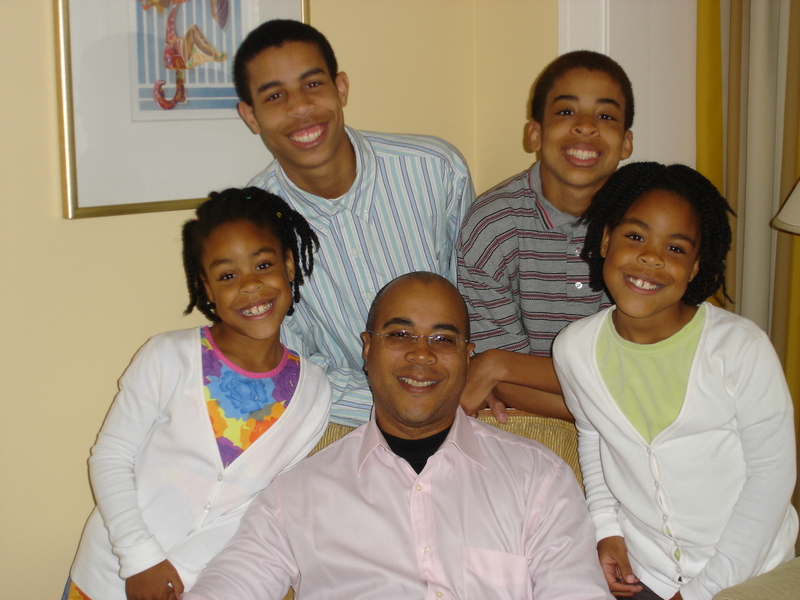 Now the hand is a reminder that just as I’m a father and caregiver, I’m also a grieving dad. I’m learning how to move through life with this new moniker. The first two were expected and eagerly anticipated, the latter an intrusion and shock. But I continue to push forward. So to my babies, who know me well and walk with me on this journey, I do at times say, “I’m ok,” and assure them that if I can help, I’ll be here for them and I will do everything I can to make sure that they don’t have to face the unwelcomed shocks alone. If they come, we’ll keep pushing forward. 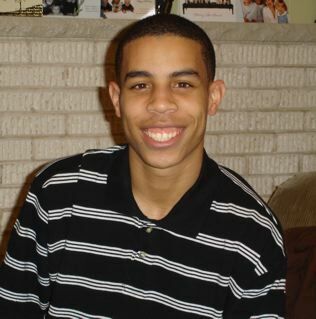 Since Jordan died, we all move with a vigilance, trying to ward off unexpected bad news. I say that knowing that keeping the realities of life at bay is impossible, but right now it feels like reassuring my children about the little things, like my achy back is a concrete way to make them feel secure. As a parent, sometimes I feel like I’m desperately trying to keep things on an even keel so as not to give rise to the tsunami of emotions that come along with knowing that our lives can be changed in an instant. Nothing is guaranteed. She looked at me saying, “How can you say everything works out ok when my brother didn’t come home from school? That didn’t work out ok, he’s gone.” I turned off the movie, called her down to sit with me and just held her as she cried. All I could say to her was, “You’re right. Things don’t always have a happy ending. But even when they don’t people still continue to move forward.” For all of my family, the fear of sudden loss is just under the surface. My babies learned at an early age that life, while full of promises, could also offer bitter disappointment and sorrow. As parents Jackie and I choose to continue to move forward telling our children that time will help diminish the pain of sorrow and that Jordan will always be a part of our lives. We are playing the waiting game at my house. Merrick has applied to the colleges of his choice and is now waiting to hear back from them. One of the schools he applied to asked for a letter of recommendation from the parents. They wanted the perspective of the person/people who would talk of the early years and personality of the applicant. When I read their request I cried. I was being asked to weigh in and support my son’s application and frankly there are days when I don’t know how I’ll let him go. Sometimes even the thought of Merrick going off to school makes me physically ill, but at the same time I want what’s best for my son. I will not be a hinderance to his dreams. I realized that the only way I would be able to write a letter of recommendation, is to ask a request of all the schools. Below is my open letter to all of them. My son Merrick has applied to your school and is hopeful that he will be accepted. You invited parents to write letters of recommendation for their child. Your request is based on the fact that most students when applying concentrate on the ages of 14-17 and parents can give a long-range look and perspective on the applicant. I’m quite willing to write a letter for my child. I appreciate the wisdom and sensitivity in your request. Before I do so however, I have a request of my own. Please watch over my child. He is eager to leave home and enter the world of academia and freedom that college allows. I watch his anticipation and enthusiasm and am confronted with my own mixture of excitement and apprehension. 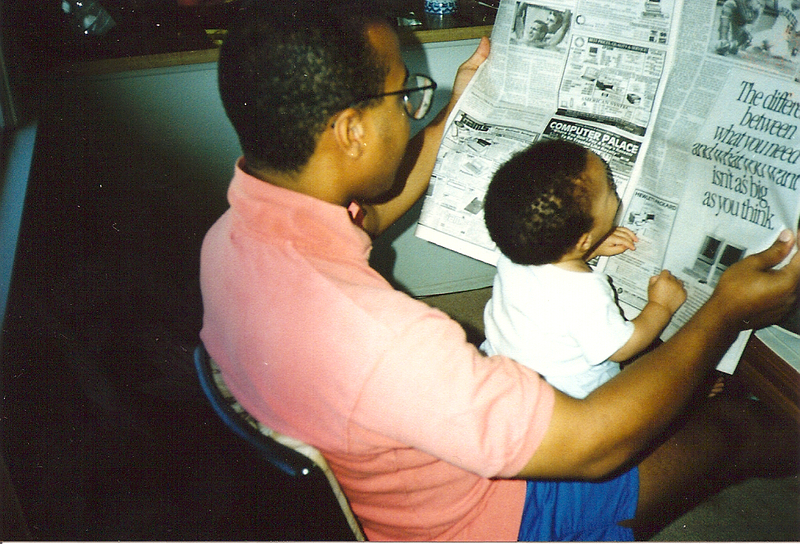 When his older brother Jordan went off to Amherst College, his dad and I could not have been prouder. Jordan chose a school that was the perfect fit for him. We watched him attenuate to college life with vigor and ease. He entered his sophomore year excited to have a single room, ready to pursue a major in Political Science and looking forward to the future. I often joked with him that I was living vicariously through him as he talked of studying abroad either in Costa Rica or London. His future seemed boundless. Seemed. When we received the news that Jordan had been killed in a car accident just 20 miles from his college campus shock and sorrow took hold of us, the grip of which I still feel today. Now it is time for another of my children to fulfill their dreams and goals. Merrick has worked so hard to be an attractive candidate for your college. A finer student, scholar, and most importantly compassionate human being you won’t find. As he readies himself to, “be on his own,” I try and ready my heart to give the world another one of my children. Merrick comes to you an eager vessel of learning. He also comes bearing the weight of sorrow that losing his big brother and best friend brings. So, I’m finding a way, no matter how hard it is, to continue trusting that the world is a giving, safe place for my children. As unwieldy and irrational my plea is I ask you to remember it. When you see my son walking through campus, treat him with care as he fulfills his dreams and honors the legacy of his brother.